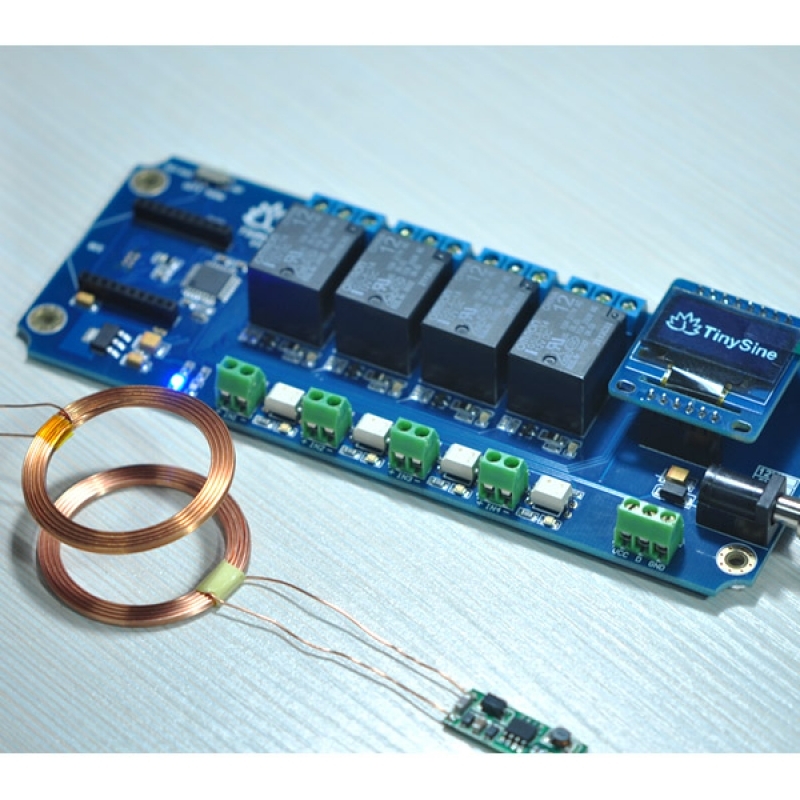 This is a wireless power supply kit (wireless charger). Including a power ransmitter and a power receiver. You can use it charge your robot, Arudino or other product wirelessly. This device use resonant inductive coupling technology. 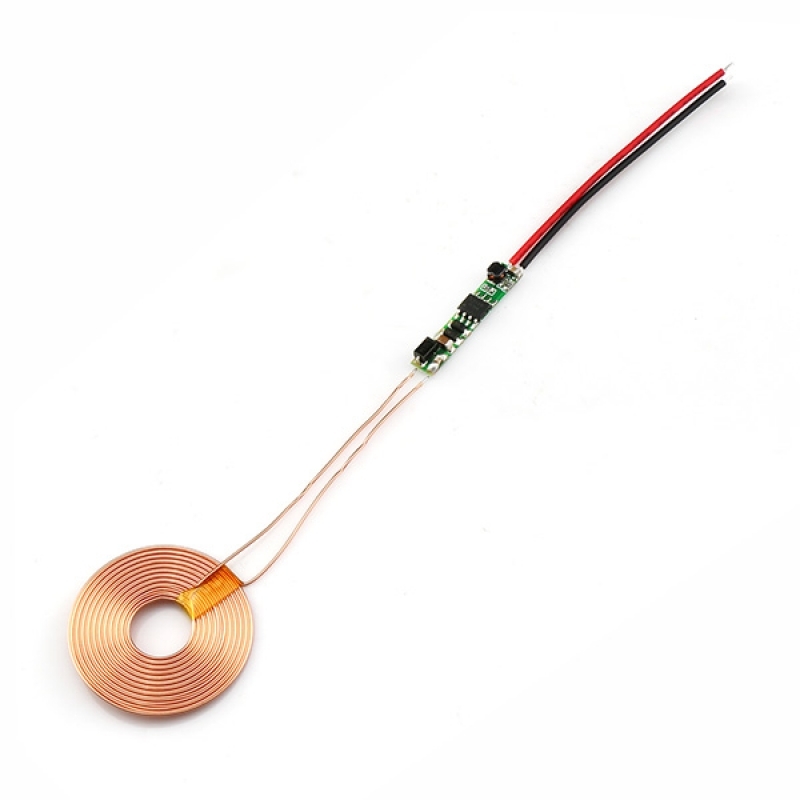 It's a small, easy to use and cost-effective wireless charger which can be used in a wide range of products to add a wireless charging function. 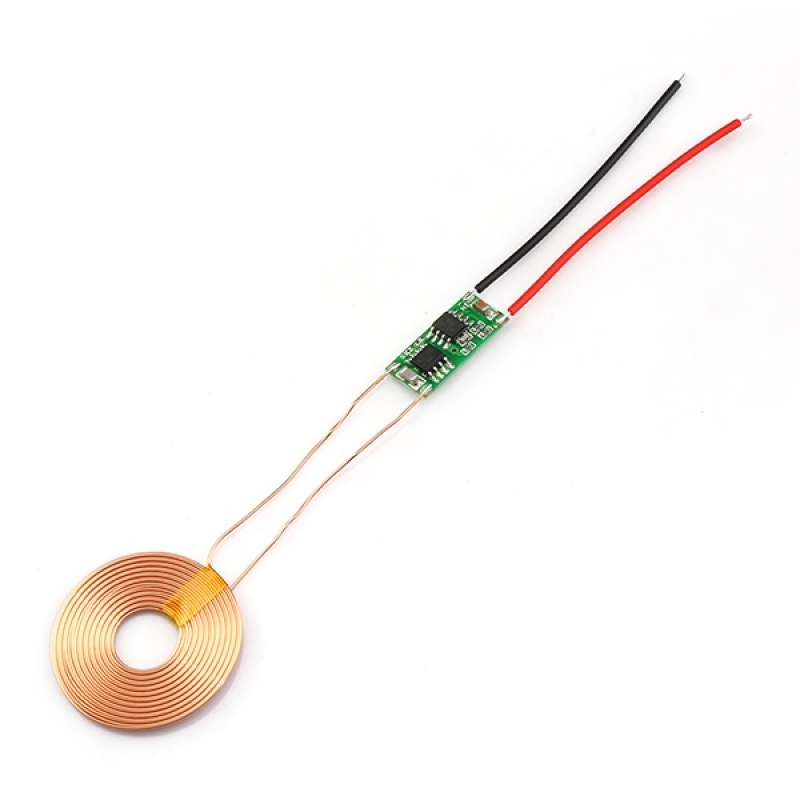 Build the transmitter module inside a base station and the receiver inside your product and you will get immediately wirelessly transmitted 5V and up to 300mA at the receiver's side which can be used for charging and/or powering your device. 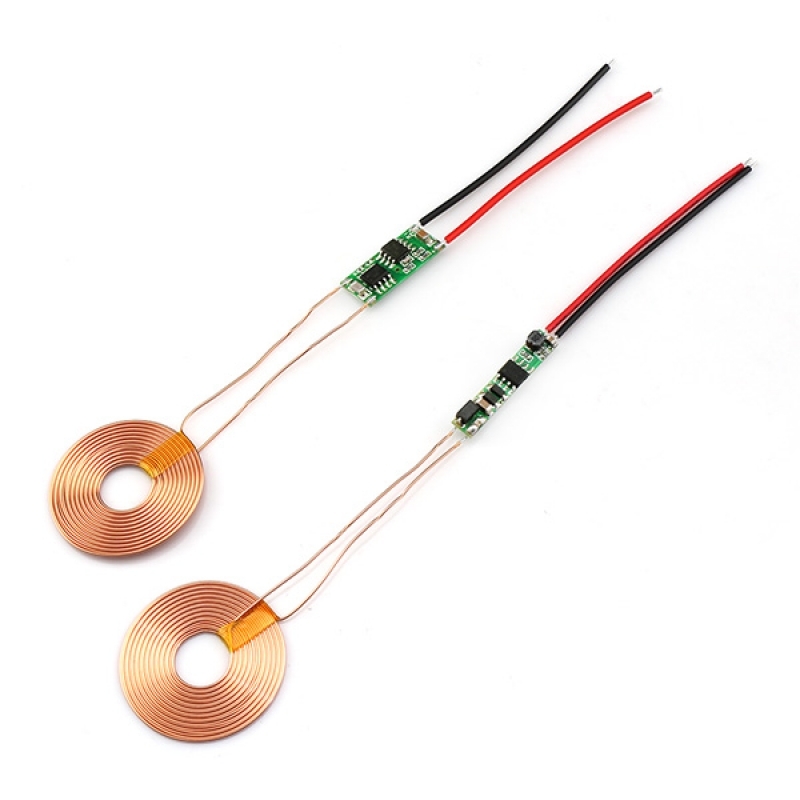 It's perfect for small robots, medical devices and other products which needs wireless charging to be waterproofed or become more convenient. 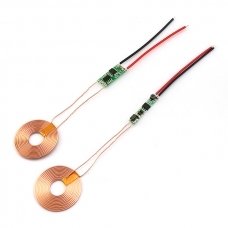 The two coils can only penetrate non-metallic materials for wireless power charging.